Greetings Card and stationery designers and Publishers Caroline Gardner recently discovered that online retailer and wholesaler Bombay Duck were using one of their designs without permission – a union flag gift wrap – as a back drop in promotional material. Despite denying that the incorporation of the design constituted an act of copyright infringement, they agreed to enter undertakings not to infringe in future, removed the offending design from their web site and Christmas catalogue, and paid £3000 in respect of costs and damages. ACID Accredited lawyers McDaniel & Co acted on behalf of Caroline Gardner. Caroline Gardner Publishing, one of ACID’s long-term members has always had a robust policy regarding copyright protection. Caroline is one of the most respected independent greeting card and stationery designers in the UK, having trained initially as a painter, then moved on to card design following a successful Tokyo gallery commission. Following the settlement, Angus Gardner said, “Originality and innovation are the key components which have made the Caroline Gardner brand so instantly recognizable and sought after. I would argue that original design is one of the last true ‘engine-rooms’ of British industry where we still lead the world, and anything which undermines or compromises this is immoral. As a policy we always send our new designs to the ACID Design Data Bank to add ballast to the design audit trail and will always pursue any unauthorized use of our intellectual property. This particular design was very important for us to protect, because it has been licensed to Blueprint Collections who are currently putting together a large range of gift stationery based on the design, which will be ready for the Autumn”. Dids Macdonald, ACID’s CEO said, “Increasingly, because greetings card designers are constantly innovating, we are seeing a big surge in the use of the ACID Design Data Bank with many new applications from within this sector. This now holds over 300,000 copies of members’ designs. Combined strength within the sector, supported by the ACID brand, means a stronger voice against copying”. Following a successful legal challenge over a look alike fabric by ACID member Angie Lewin, leading Swedish retailer Ahlens have paid nearly £10,000 in costs and damages and confirmed that Ahlens look alike “Ella” print will be taken off the store’s shelves (both on and offline). All further sales of this fabric have been stopped. Andrew Lee of ACID Accredited law firm McDaniel & Co comments: “Clearly, the Ella print whilst not being an exact copy, reproduced a substantial part of the Speypath 1 print. Although the infringement did not take place in the UK, those who have artistic copyright benefit from the fact that copyright can be enforced in practically every country in the world because of the Berne Convention. Black And Blum Do Some Strait Talking! Award winning ACID (Anti Copying in Design) members Black and Blum design, manufacturer and supply a range of stylish and contemporary interior products. 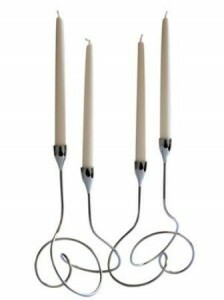 In November they were shocked to discover an identical product to their award winning Loop Candelabra being offered for sale by a company named Straits on their website. Through ACID accredited law firm McDaniel & Co they fired off a strongly worded “cease and desist” letter to Straits. Subsequently, Straits agreed to remove the items from sale, destroy remaining stock and promised not to do this again in the future. In addition they agreed to make a contribution towards Black and Blum’s legal costs and also disclose the identity of the Chinese company who had manufactured the infringing product. 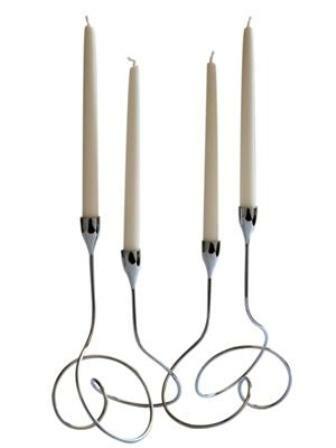 Dan Black of Black & Blum said, “We are proud of our success with the Loop Candelabra (Grand Design Magazine Award winner for best home accessory in June 2007, presented by Kevin McCloud) and we are determined to send a clear message to anyone who decides to replicate it. We send all our new designs to the ACID Design Data Bank and also hold registered Community designs. This means that we can enforce our rights easily with a credible audit trail behind our designs. Those who produce lookalikes are rarely able to produce archived design and development drawings”. Patricia Jones, a specialist IP lawyer writes, “Most people associate Trading Standards with seizures of counterfeit DVDs and clothing. In fact the role of Trading Standards is far greater than this. Trading Standards can seize any goods to which a registered trade mark has been applied without consent. For example we have recently worked alongside Trading Standards in the seizure of machine parts that had been labelled with our client’s trade mark”. Trading Standards is the body responsible for enforcing the criminal aspects of trade mark law. There are three main criminal offences in relation to trade marks which cover acts such as applying an infringing mark to goods, making or using packaging bearing an offending mark and making or keeping articles designed for reproducing an offending mark. Trading Standards are given extensive and wide-reaching powers of enforcement under the Trade Marks Act 1994 for the purposes of ascertaining whether an offence has been committed. These powers include the right to enter premises and inspect and seize goods and documents. The powers are exercisable without a search warrant and any person who obstructs an officer exercising his powers is liable to be prosecuted. Prosecutions can be brought by Trading Standards and are heard in either the Magistrates Court or Crown Court. Offences committed under the criminal aspects of trade mark law carry with them penalties of up to 10 years imprisonment, an unlimited fine or both. Often the seizure of goods by Trading Standards is quicker and cheaper than enforcing trade mark law through civil proceedings. This highlights one of the benefits of having a registered trade mark as Trading Standards can only exercise their powers when dealing with a registered trade mark. Protecting your Intellectual Property Rights, getting paid and dealing with all the business complexities of China is a serious challenge to London businesses. “Managing trading risks in China” will equip your business with a practical toolkit to successfully meet the challenges within the technology sector in China. Aimed at established London based ICT and technology companies, this workshop will further understanding of China’s market potential. With a leading panel of experts from within the field of commercial operations and export trade, companies will be offered practical advice on how to minimise the risks along with specialists in Chinese business legislation and IPR. If you have a great business idea, long to pursue your dreams or just want to be your own boss, the British Library is bringing together four trailblazing British women for an evening of inspiration. In celebration of International Women’s Month, ‘Mothers of Invention’ is a rare opportunity to hear from, and put your questions to, a group of pioneers from fields as diverse as film, retail, marketing and design. The Grand Designs Awards return for the fourth year to celebrate the very best examples of domestic architecture and product design. Coined the ‘Design Oscars’ within the industry, the awards strive to recognise those who have raised the bar in terms of design and architecture. We are thrilled to announce that our high-profile judging panel of industry experts is ready to deliberate over the country’s finest work. 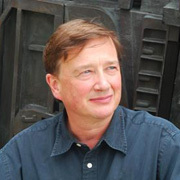 The panel includes renowned designers such as Sebastian Conran, Wayne Hemingway, Kim Colin, Robin Levien and Luke Pearson, architects including George Ferguson, Deborah Saunt, Claudio Silvestrin and George Clarke, plus industry experts such as Paul King and Theo Williams. New for 2009, the Grand Designs Awards is also extremely proud to announce that its chosen beneficiary this year is Shelter, the housing and homelessness charity. Grand Designs is renowned for recognising and rewarding those at the cutting edge of changing the way we live, and so this year we are delighted to support the work of this important charity that tirelessly works with the homeless and people living in poor housing in the UK today. Entries can be made online at www.granddesignsawards.com. The awards team can be contacted on 01992 570030. Deadline for entries is 15 February 2009. Winners will be announced at an awards ceremony on 30 April 2009 in central London – tickets are available through the website www.granddesignsawards.com. 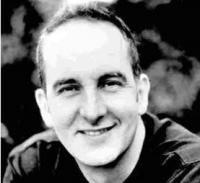 Kevin McCloud will present the awards. 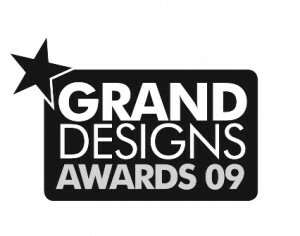 For further information on the Grand Designs Awards 2009, please contact Sarah Dynan on 01992 570 030; email sarah@media-ten.com or visit www.granddesignsawards.com.